Used by Authors, Speakers, Coaches, Entrepreneurs, and Business Owners! It's time to start building your Machine so you can confidently move forward towards the lifestyle and business you truly desire! "If it's perfect, it's too late." 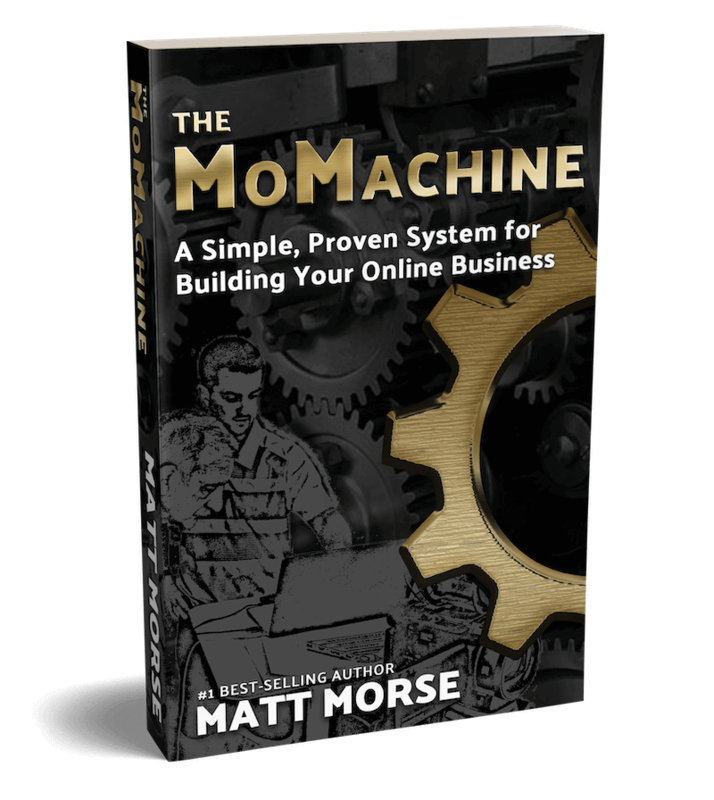 Well, it’s not perfect but I just finished writing my new book, The MoMachine: A Simple, Proven System for Building Your Online Business. I’ve seen how much this has helped others and I know how much it can help you. Put yourself in a position to maximize all of your opportunities! Have a step-by-step process for monetizing your knowledge, expertise, and experiences! Share your passions and talents with the world! 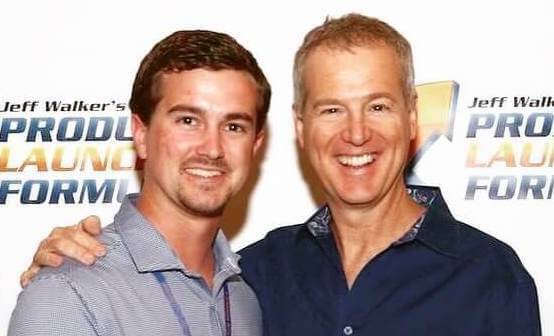 All of The Tools & Resources I Use Everyday To Power 100+ Online Businesses! At the checkout, you’ll have the opportunity to upgrade your order and get instant access to the eBook and the deluxe audiobook! So, what is The MoMachine? The is your hub (and the platform for building your online business)! The only asset you have in online marketing is your . If you want to remain relevant to your audience, you need to understand . Creating is the best way to share your message with the world. are the fastest way to scale (and monetize) your knowledge and expertise! You must show up with momentum. That’s why we ! Want a constant flow of traffic to propel your business forward? You need to be using . As you might be able to see, I'm passionate about this stuff as I know how much it can improve the quality of your brand, your business, and your life. I've invested the last 5 years of my life experimenting with and simplifying this as best as possible for you to be able to move forward towards the life and business you've always wanted! If you're ready to build your Machine, now is the time. Let's get started! ▸ Who is The MoMachine for? Anyone looking to better understand or get clarity of online marketing. 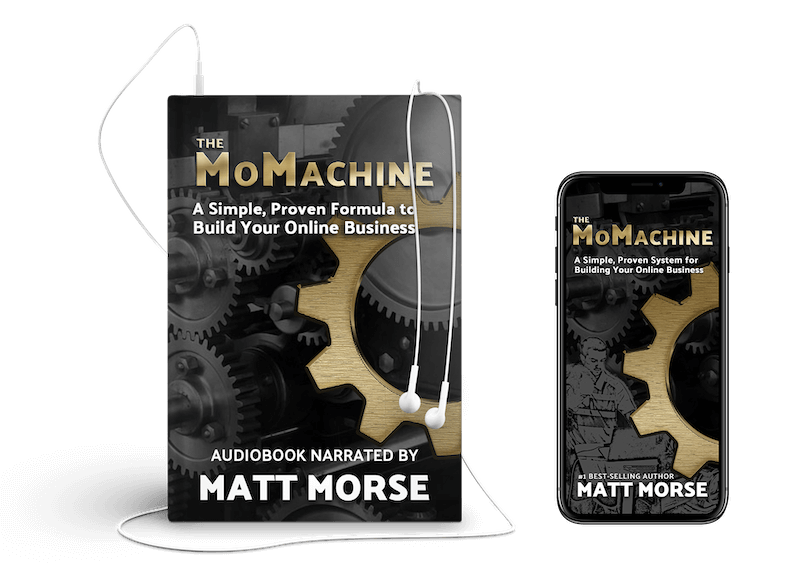 Authors, speakers, coaches, artists, trainers, and entrepreneurs have experienced massive success from implementing the MoMachine. ▸ How do I get the eBook and Audiobook? On the next page, you'll have an opportunity to add the eBook and Audiobook to your order so you can start reading/listening right away! ▸ When will my book ship? Place your order today and your free copy of The MoMachine will be in the mail tomorrow!